With Valentine’s Day just around the corner, hearts are on a lot minds right now. But for doctors, there’s another reason for all the talk about hearts—February is Heart Health Month. 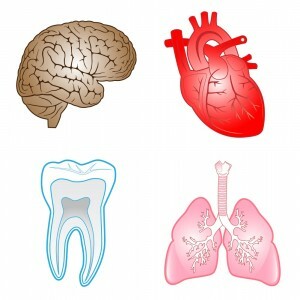 Now, you might not immediately connect dentistry with the health of your heart, but a connection may exist. Some research has indicated that gum disease contributes to heart disease, while others have indicated that no link exists at all. What that means is that our understanding of gum disease and overall health is continuing to evolve. Gum disease may not be directly responsible for heart attacks, but it does give bacteria and plaque access to the rest of the body—and that doesn’t do your overall health any favors. So, how can you help you protect your smile and your overall health? One of the best ways is with regular brushing and flossing at home. Adding a trusted antibacterial mouthwash to your regimen can also help. Beyond this, remember to schedule a regular checkup and cleaning with Dr. Alex Martin in Scottsdale every six months. Regular visits make it possible for him to monitor your smile for any signs of change. If extra care is needed, we can provide effective help through periodontal therapy. In our next post, we’ll spend some time talking about the aims of periodontal therapy and how it can help. For now, call Dr. Martin if you need to schedule a visit and cleaning with our Scottsdale team. We’re proud to serve patients from Phoenix, Paradise Valley, and Fountain Hills.